This is the page for the Chaplin FD. They have 2 engines, 1 engine tanker, 1 SUV, 1 utility truck, and 1 station. I have pictures of all of the trucks. 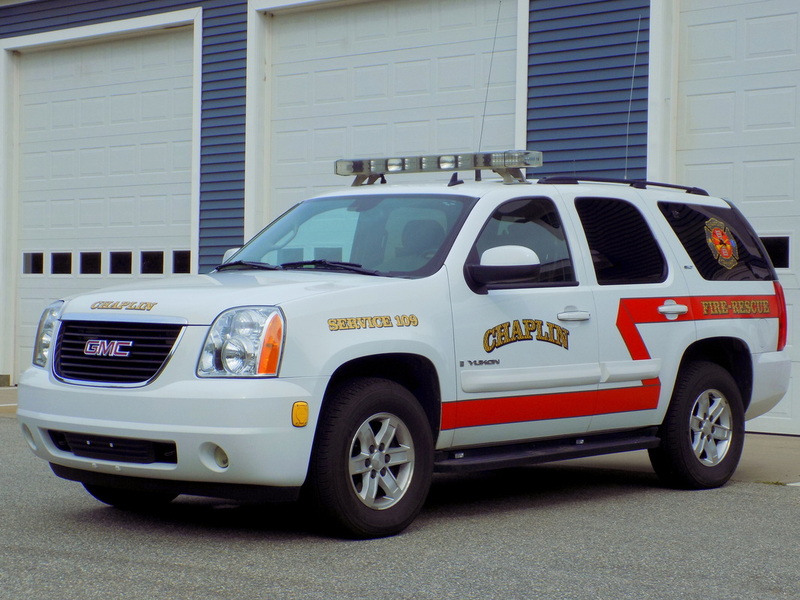 Chaplin's Service 109, a 2009 GMC Yukon SUV. 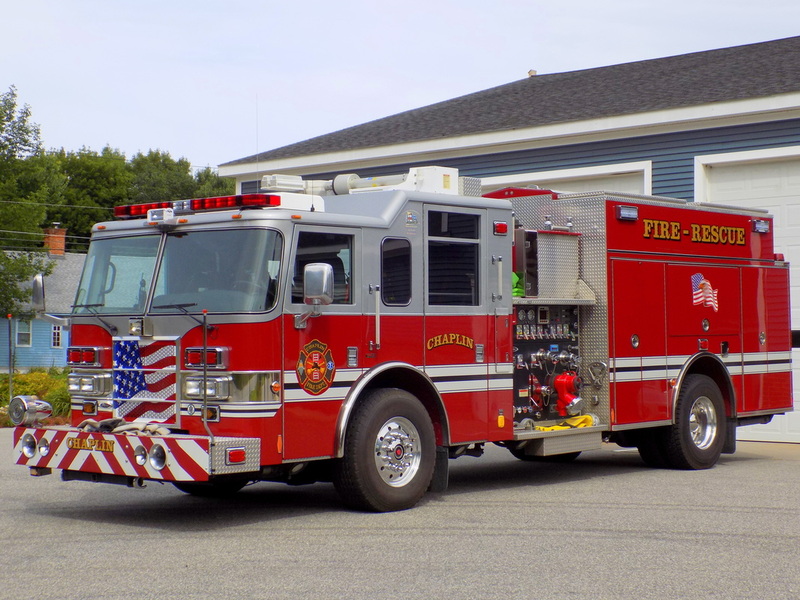 Chaplin's Engine Tank 109, a 2004 Pierce Dash rescue pumper. 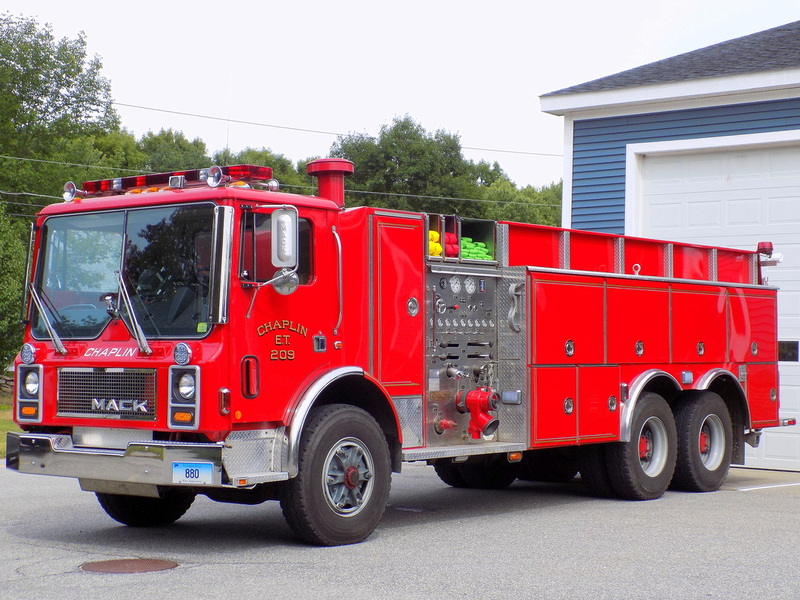 Chaplin's Engine Tank 209, a 1985 Mack MR/4 Guys tanker truck. 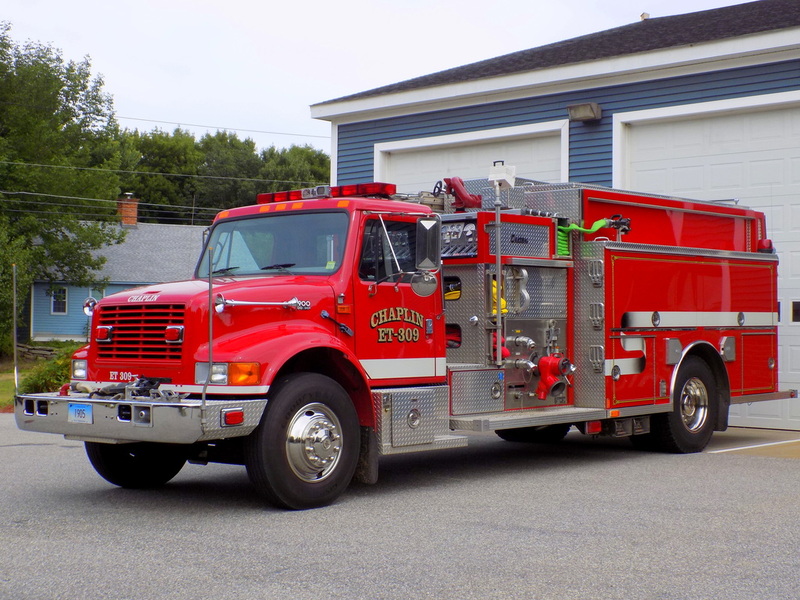 Chaplin's Engine Tank 309, a 1998 International/Central States. 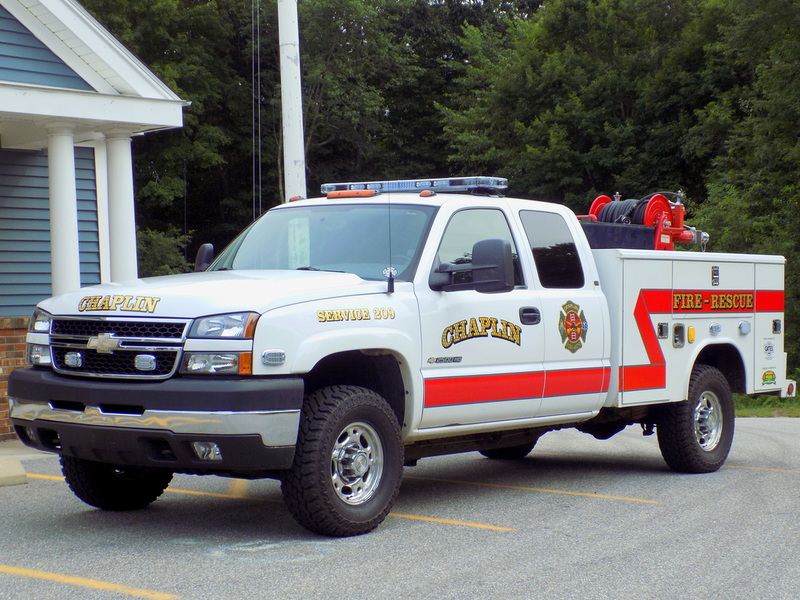 Chaplin's Service 209, a 2007 Chevy/Reading Utility truck.